The Golf Tournament has been postponed and will be rescheduled for a later date. 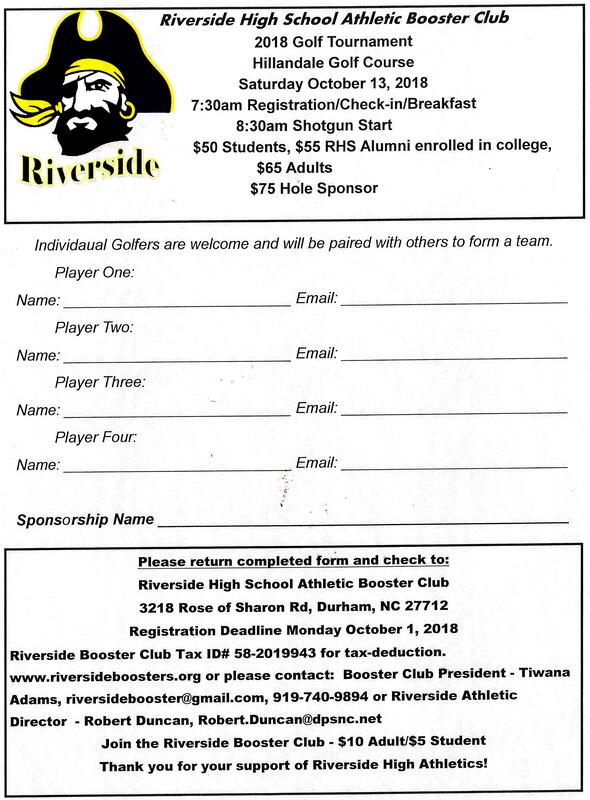 The Booster Club will be hosting our 5th Annual Golf Tournament on Saturday, October 13 at 8 AM at Hillandale Golf Course. This is our biggest fundraiser of the year. 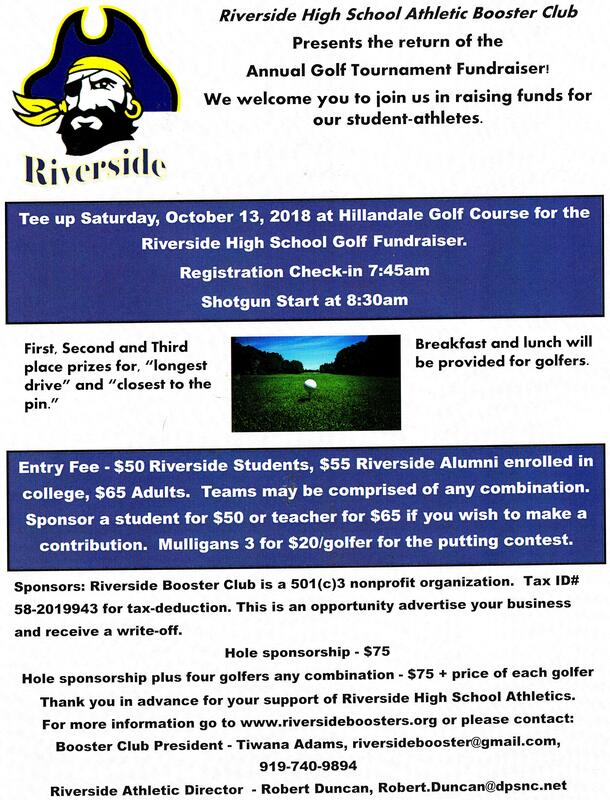 Money raised last year was used for scholarships for graduating RHS athletes and for uniforms and equipment for Riverside teams. A complete list of projects funded by the booster club may be found here. We need your help to keep the momentum going. 1. We need golfers! We have room for 120 golfers. You can sign up below to play. Students $50. RHS alumni in college $55. $65 for adults. Breakfast biscuits, coffee and lunch will be provided for all participants. 2. Donate a golfer spot! Pay $65 for a teacher or coach, or $50 for a student to play in your place! 3. We need Hole Sponsors! Sponsor a hole for $75. Local businesses and individuals are key to our success. Additional information about the tournament to be available soon! Golfers Needed! Reserve your spot now! Click here to pay online with any major credit card. Hole Sponsors Needed! Reserve your spot now! Click here to pay online with any major credit card.